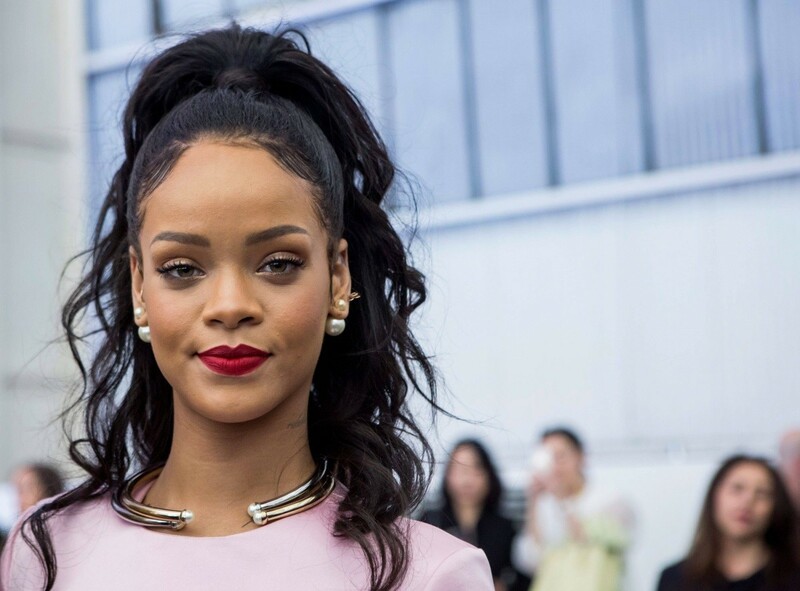 Rihanna talks about her new album! …she’s sharing secrets about her upcoming album! 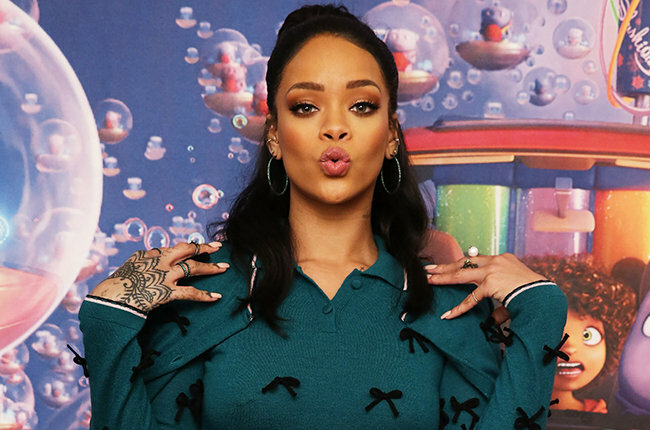 At 27 years old, Robyn Fenty AKA Rihanna has been going strong for nearly 10 years now in music since her debut single “Pon de Replay” was released in May 2005! It’s so hard to believe it’s been a decade already because I’ve followed her from the very beginning. I was just telling someone recently that what I love the most about Rihanna is how she’s so edgy and also how she lets her islander accent come out sometimes in her songs. I actually prefer to hear her sing in her accent! I think it’s an incredible selling point as a pop singer to have a Barbados accent…if you ask me! I’m sure you must have heard the song “FourFiveSeconds” by now! 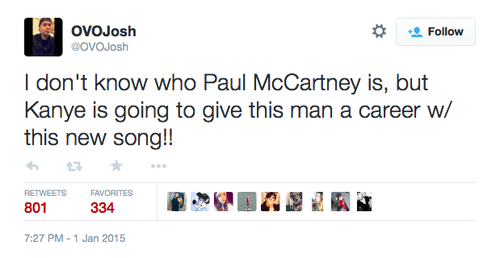 It was the most random song released by Rihanna featuring Kanye West and this new guy by the name of Paul McCartney. That’s just one of the many tweets that surfaced! I shouldn’t even have to explain who Paul McCartney is so I’m not going to! HAHA I just think that it’s astounding and quite unbelievable that people didn’t know who he was or allegedly didn’t! What in the world?! “FourFiveSeconds” is the great little pop song that could and is still heating up the charts since it’s release in January! I will say that Paul McCartney sang absolutely nothing on this song so I was incredibly confused when I first heard it! HAHA However he just ended up playing the acoustic guitar for it apparently! And also, their performance of it at the Grammys last month was epic! Rihanna sounded SO GOOD! Better than I’ve ever heard her before! So yeah the Rihanna Navy is patiently waiting for the new album and according to Rihanna herself…it’s going to be a pleasant surprise! I absolutely love what she just said right there! Timeless music that will last forever! That’s an incredible thing to strive for and quite honestly I think she’s already had several songs that fit into that mold!! Specifically in my opinion: “Don’t Stop The Music”, “Only Girl (In The World)”, “Umbrella”, “Love The Way You Lie”, “We Found Love”, “Diamonds”, “Stay”, and now…”FourFiveSeconds”. Congrats Rihanna on your 8th album! I can’t wait to hear new timeless hits! Tags 10 years of Rihanna, FourFiveSeconds, How many albums does Rihanna have?, rihanna, Rihanna 2015, Rihanna 8th studio album, Rihanna album, Rihanna album 2015, Rihanna eighth studio album, Rihanna FourFiveSeconds, Rihanna makes timeless music, Rihanna new album, Rihanna new music, Who is Paul McCartney?